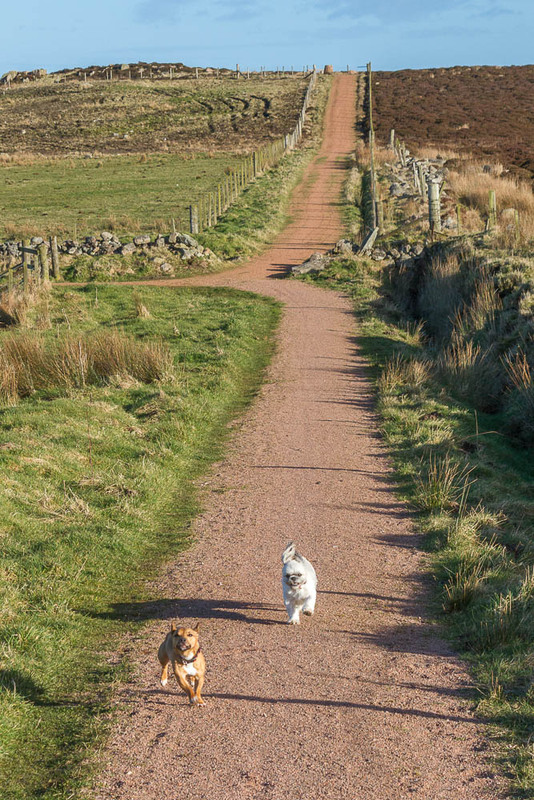 There is a wonderful network of paths all over Stirling Hill, thanks to the hard work of the Boddam Community Association. I often stop there with the dogs on the way to and from Peterhead. We weave our way through the remains of the quarry workings where once Peterhead convicts were put to hard labour. 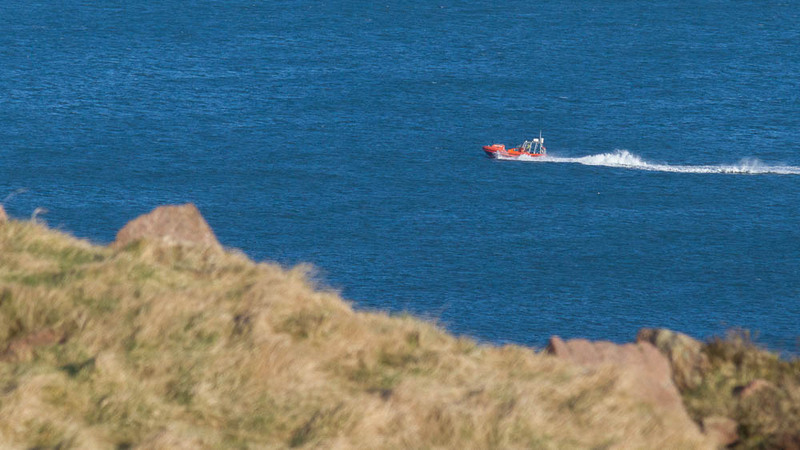 But for us it is the glimpses of the sea, the sun on the heather, the gorse, the sparkling pink granite and the views over Peterhead and the Buchan coast that is our focus. Despite the strong wind we explored a little further than our usual circuit of the hill. 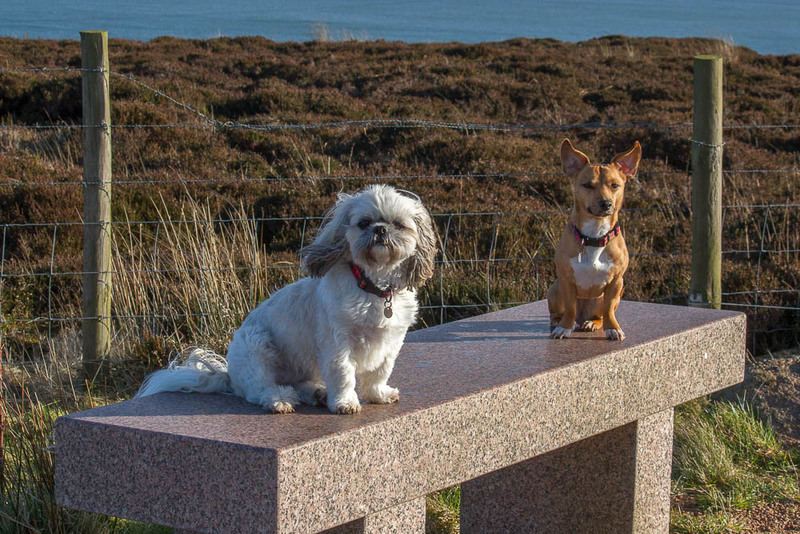 Lily and Poppy dutifully posed for me on the granite bench by the viewpoint. 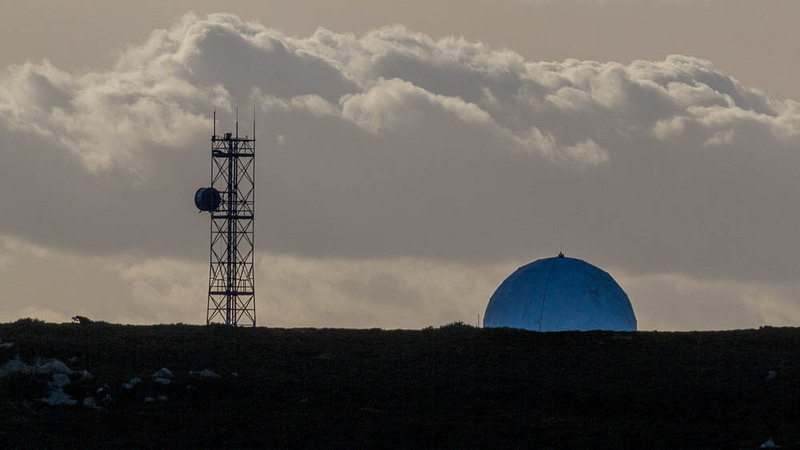 Then it was off down a long straight path towards the site of the RAF Buchan radar station, with its distinctive golf ball “Radome” which can be seen from all around. 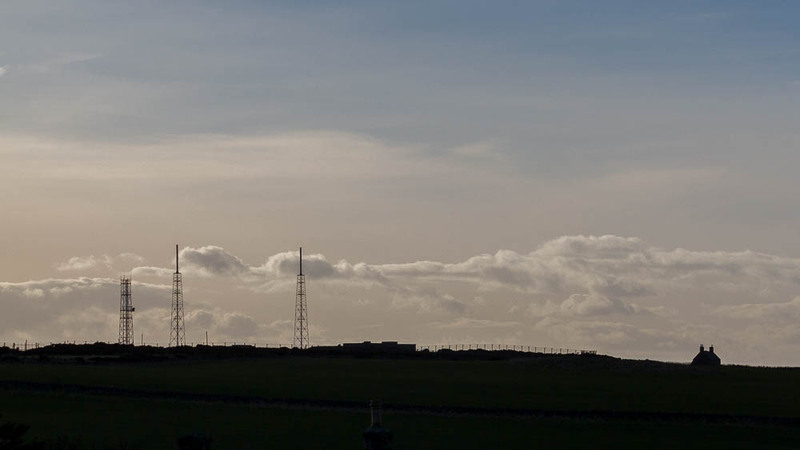 The hill has sprouted masts of all sorts, not just the military, Mobile phone providers have found this a useful place for their transmitters. We explored down a track we had never visited before. Poppy loved it, darting here and there, but always keeping an eye on where I was. The track took us to another quarry working that I had never visited before. It was full of water, and was fenced off, with not the usual warning sign of steep cliffs, but to take care because this pool is very deep and is used by divers. There was a long length of rope there, and the rubber hood of a diving suit mounted on a fence post to confirm the signs. Once home I read up about this site which is a favourite with divers because of its relative safety for training dives. It goes down to a depth of 24 metres, and proudly boasts a submerged burger van to explore. 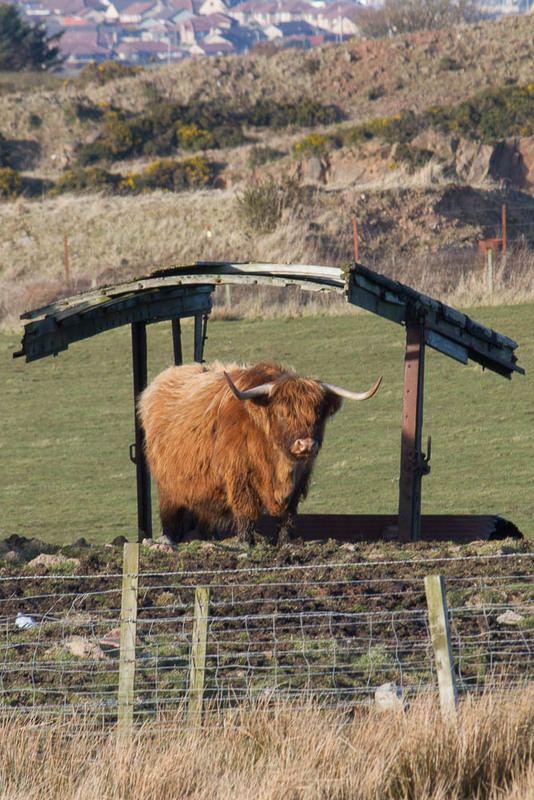 It is amazing what is there to discover on Stirling Hill, including highland cattle!